Location: Portaferry, County Down, Northern Ireland. Notes: Portaferry Castle is a small tower house in Portaferry, County Down, Northern Ireland, overlooking the harbour. It was built in the 16th century by William Le Savage. Portaferry Castle tower house is a State Care Historic Monument in the townland of Ballyphilip, in Borough of Ards, at grid ref: J5930 5085. 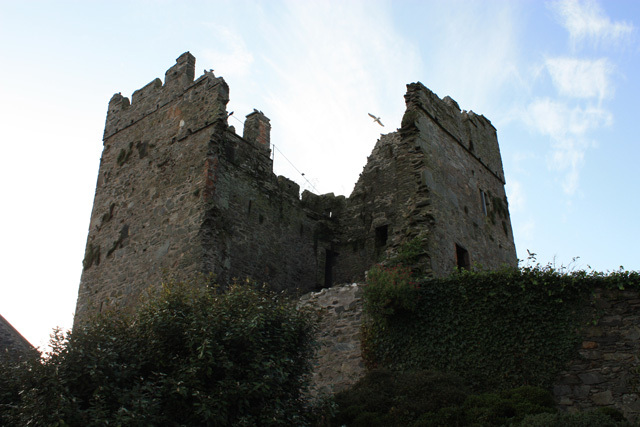 The castle was probably built in the 16th century by a member of the Savage family. In 1635, Patrick Savage's brother-in-law, Sir James Montgomery of Rosemount (Greyabbey), repaired the castle by roofing and flooring it so that his sister could live in greater comfort there.